This is easily recognized by 2 drive slots in the dash. 2004-2009 6-Series (E63/E64) - Note that 2004-2005 must have CCC drive. It includes Millions of new Points of Interest in 100 easily searchable categories. BMW M5 F90 BODY STYLE - 1/18 SCALE MODEL. BMW M5 F90 1:18 SCALE. Injection moulded with paintwork in original BMW colours. BMW logo lettering visible everywhere. 1 pair gap filler pad for /// Performance US Stock, fast shipping. BMW First Aid Bandages Kit E60 F10 F30 F01 F02 F04 F80 F48. This is a used Original BMW part. 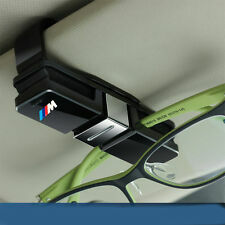 It fits many cars built after 2004, useful for any BMW! The contents do not appear to have ever been used. I AM ALSO PARTING OUT 2013 BMW M5 F10. Engine has a broken bracket on the back left-hand side pics still available so it can be welded. Hawaii, Puerto Rico and Alaska. 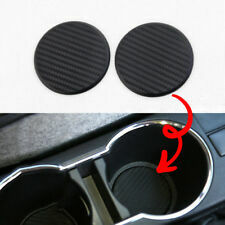 2 Pcs Carbon Fiber Look Car Dashboard Water Cup Slot Non-Slip Mat Accessories. Color: Black Carbon Fiber Look. 5' F10 (01/2009 — 10/2016). 5' F10 LCI (08/2012 — 10/2016). IMPORTANT FOR US. Item may show signs of wear, light scuffs, scratches or other imperfections as a result of this being a used part. All the parts are tested either before or after removal from the vehicle. 00-03 BMW E46 M5 Navigation Navi GPS Screen Display Radio Unit OEM. Condition is Used. Shipped with Standard Shipping. BMW V29.1 FIRMWARE SERVICE UPDATE DISC for. -Software Update Installation Instructions Simple Process (Insert the CD and the update starts Automatically). -X3 [E83] 2.5i, 3.0i. -7 Series [E38] 1995 - 2001 740i, 740iL, 750i, 750iL, 760iL -. Part number: 6938762. 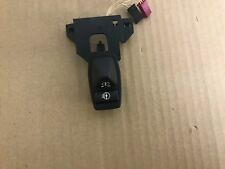 BMW e60 overhead hands free microphone mic #2. Removed from e60 550i. OEM BMW PART. OEM 06-10 BMW E60 M5 COMPLETE RADIATOR CORE SUPPORT. PULLED OFF OF 2006 BMW E60 M5 SMG WITH 46K MILES. I HAVE MANY MORE PARTS FROM 2006-2010 BMW E60 M5 AND E63 E64 M6. CORE SUPPORT IN USED BUT GREAT WORKING CONDITION AS SHOWN ON PICTURES. 5 out of 5 stars - Genuine BMW Insulated Fusion Tumbler White Coffee Drink mug cup Stainless 14oz. 5 product ratings5 product ratings - Genuine BMW Insulated Fusion Tumbler White Coffee Drink mug cup Stainless 14oz. Vehicle Model: 525I. Vehicle Maker: BMW. we think communication can resolve 99% of problems! NO APO FPO PO Boxes or US Territories. Also included is the pigtail which is shown in the pictures. BMW M5 2009-2009 tuner/recvr, SAT radio, from 4/09. BMW M5 2010-2010 tuner/recvr, SAT radio. BMW 650i 2009-2009 tuner/recvr, SAT radio, from 4/09. BMW 650i 2010-2010 tuner/recvr, SAT radio. 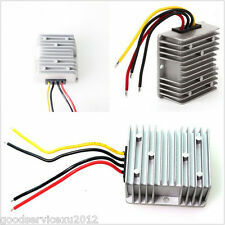 BMW 760i 2010-2010 tuner/recvr, (SAT radio). WE HAVE MANY PARTS AVAILABLE FOR THIS VEHICLE AND MANY OTHERS. 3' E46 (04/1997 — 05/2006). Part 51478193803 was found on the following vehicles. Se e pi ct ur es f or details. This ist he p ar t you willg et. S hi pp ed priority ma il a nd f re e to y ou. Small amount of spot rust but works fine. 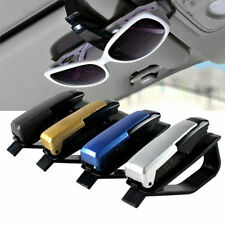 High Capacity Multi-use Oxford Car Seat Back Organizers Interior Accessories. Car Trunk Backseat Stowing Bag Big Capacity Spacious Pocket For Outdoor Camping. 2 in 1 functionality - Can easily be used as a backseat car organizer or a car trunk organizer! This part is original and genuine from the BMW factory. The parts are in good working condition. Helpful Links. Auto Foreign Parts was established in 2015. BMW Model Number: 65.82-9 141 809, 65.82-9 145 105. 2006 - 2011 BMW 3-SERIES323i, 323d, 325i, 325xi, 325d, 328i, 328xi, 330i, 330xi, 330d, 335i, 335xi, 335d. 2006 - 2011 BMW 5-SERIES525i, 525xi, 525d, 528i, 528xi, 530i, 530xi, 530d, 535i, 535xi, 545i, 550i. 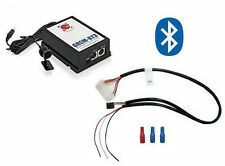 BMW Alpine Prewired Alarm Keyless Entry Security System E34 E32 E31. These are used Original BMW parts. No remote is included. 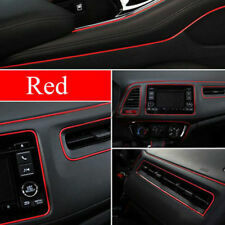 Includes E34 5 series rear console trim with glass breakage detection mic and status LED. 6 Disc (CD) Changer Magazine. GENUINE BMW. If there is a problem, we’re here to fix it. Decor panel for centre console,aluminium. WE HAVE MANY PARTS AVAILABLE FOR THIS VEHICLE AND MANY OTHERS. 5' E61 LCI (11/2005 — 05/2010). 5' E61 (10/2002 — 02/2007). 5' E60 LCI (10/2005 — 12/2009). Set Of 6 Aluminum Trace Door Dash Trim Insert 51458051335 51458051331 Oem Bmw M5 F10 2013-16 . LKQ SKU: LKQ715 ~209676020 RDO57947. We do our best to prevent these issues from happening and apologize for any inconvenience it may cause. Vehicle Make: BMW. Vehicle Year: 2001. No antenna, DVD disc, or wiring is included, unless stated above. Used OEM radio navigation screen IDRIVE control unit off of a 2013 BMW F10 M5. Tested and in good working condition. Upper “Menu” button has wear on the side (view photos for details). Part number is 65829286699, will fit most of the following models with compatible versions only: 11-13 F10 528 535 550 M5 12-13 F30 328 335 11-13 F01 F02 740 750 Please make sure this item fits your vehicle before purchasing. Compatibility is buyers responsibility. Thanks for Viewing! BMW Radio Wiring Harness HiFi Stereo Loom Cable E34 Late. This is a used Original BMW part. There are no cuts. This is for the HiFi 10 speaker system with the later style amplifier, generally built after 3/93. 6 Month Warranty! Contact us for Compatibility!